Located at 148 State Street in Boston, The Ginger Man is not your average American pub. 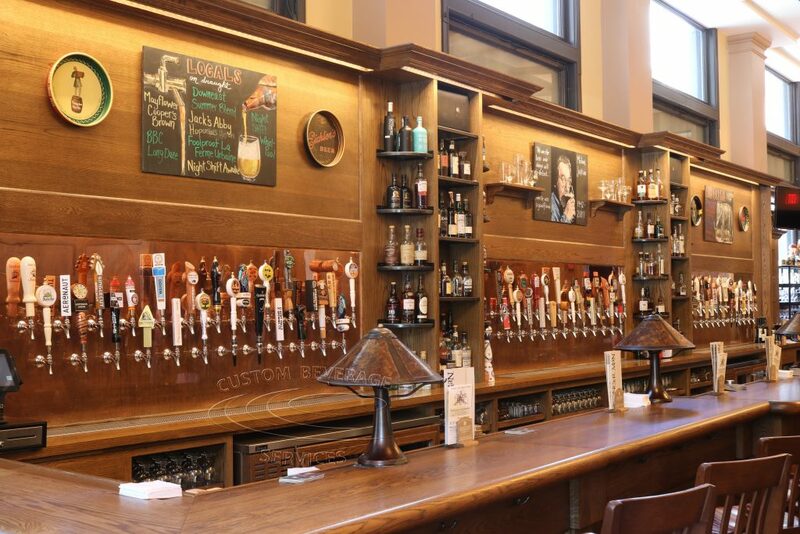 Behind the bar is a massive, 75 – line, glycol cooled draft system. Consisting of 3 copper panels each with 25 faucets. Downstairs is special events dining; Using thru-wall construction, we duplicated 15 of those 75 flavors to the bar right outside of the main cooler. Inside the cooler(s) are custom regulator panels, multiple of these lines have been equipped with gas changeover valves, giving the ability to immediately swap to either carbonated or nitro beers. Three powerful glycol units are set-up with multiple pumps to handle the BTU load of this extravagant system.